Inspired by our trip to The American Visionary Art Museum and particularly the bead and wire sculptures of the artist John Landry, The Bee came home and wanted to make her own sculptures. We got out some pipe cleaners, popscicle sticks and some brightly colored wooden beads. I showed The Bee how you can attach two pipe cleaners by wrapping them around each other and left the rest to her. These are my favorite kinds of art projects, the ones where you (the grown-up) have no intentions or plans and just provide a little knowledge and some materials to see what the kids come up with. These are also the projects at our house that always turn out the best. The Bee decided that her sculpture should be a hanging so we rigged a little hook out of pipe cleaners and hung it in the play room. Beautiful! 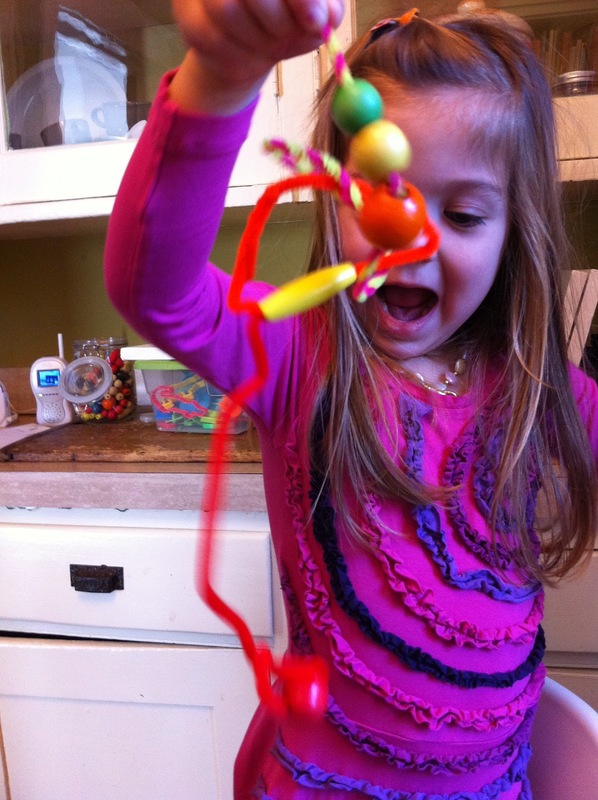 Thank you for joining in the Kids Art Explorers. 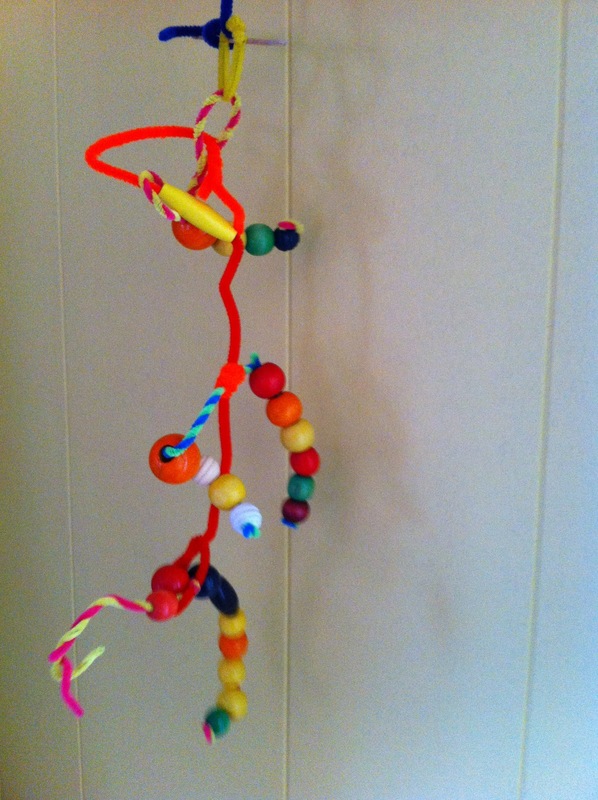 We're off to the museum this week to make some mobiles - hope ours turn out to be as fun as yours.